We manufacture and supply Pre Painted Galvanized Roofing Sheets. These Galvanized Steel Sheets with Pre-Coloured Finish are in Hi-Ribs Profile and have Polyester Coating thus making it a sustainable cover for majority factories and manufacturing & production units. Our company has set the benchmark in offering Color Coated Galvanized Roofing Sheets to the clients. These products are designed by using advanced technology and are crafted from a finest quality raw material for ensuring sturdiness and flawless quality. The offered range is available in attractive colors, numerous sizes and can also be manufactured in compliance with customer specific requirements. Color Coated Galvanized Roofing Sheets are widely demanded in residential, commercial and industrial buildings for shedding and roofing purposes. We are deal in this Galvanized CC Sheet. We have been counted as a prominent name in this domain involved in offering a wide range of North Light Curve Galvanized Sheet to our clients. 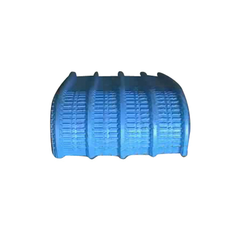 This product is made by our vendors by using high-grade quality raw material and latest technology. These sheets can be customized as per precious customer’s specifications. Offered range is widely known for sturdiness and quality. The Galvalume & Galvanized Sheets are Crimped to required radius and angle to fit the purpose of covering any corner and the open end of a shed. Available in all thickness & colors and to as many possible bends. 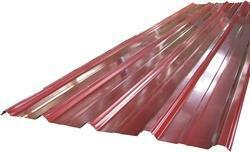 Looking for Pre-Painted Galvanized Roofing Sheets ?